Tournament Housing & Events, LLC is owned and operated by Augusta native Jane Fuhrmann, former Director of Masters Housing Bureau. 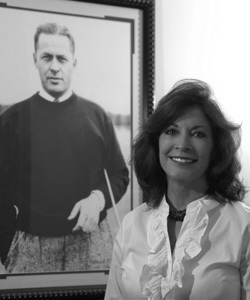 Jane has deep roots in the Augusta area and the world of golf. She grew up in the historic Summerville neighborhood, just miles from the Augusta National. Her grandfather and great uncle, both golf pros, served on the committee with Bobby Jones that established the PGA Senior Golf Tour. Mr. Jones announced its formation in front of the Augusta National in 1937. Jane's knowledge of the area, combined with her extensive experience working with tournament players, corporate clients and events planners from around the world, make her uniquely qualified to meet the needs of groups and individuals who require a high level of personalized service. Moreover, her connections in Augusta and the exclusive suburbs of Columbia County allow Jane to offer an inventory of Augusta's finest homes, cottages, and condos. If you're planning a group trip to the Masters, contact Jane. She will arrange for you to preview a selection of homes and help you select the ones best suited to your client's individual needs, whether you require family homes, estate properties or intimate cottages tucked away in Augusta's historic neighborhoods. Unlike most Masters housing agencies, Jane does not stop there. She will also supply on-site certified chefs, make dinner reservations at Augusta's private clubs, arrange tee times on private courses and meet your other hospitality needs. And, if you wish to host a party at a local venue, Jane can help you select the right site, caterer and other services to create a distinctive event your guests will remember long after the Green Jacket has been presented. Jane's permanent staff member, Stacey Hayden will assist clients and registering homeowners with organizing proper housing options and leasing homes.